It was another tough week trying to decide who to pick for our Game of the Week, as there were tons of solid titles released this past Wednesday night covering a variety of genres and tastes. 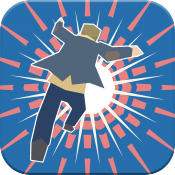 In the end, though, we decided upon Boson X ($2.99), a super-difficult, super-twitchy, and super-ingenious arcade game that feels perfect for the mobile platform. It’s one of those games you can jump into at a moment’s notice, play for as long or as short of a time as you want, and almost always have a hard time putting it down. 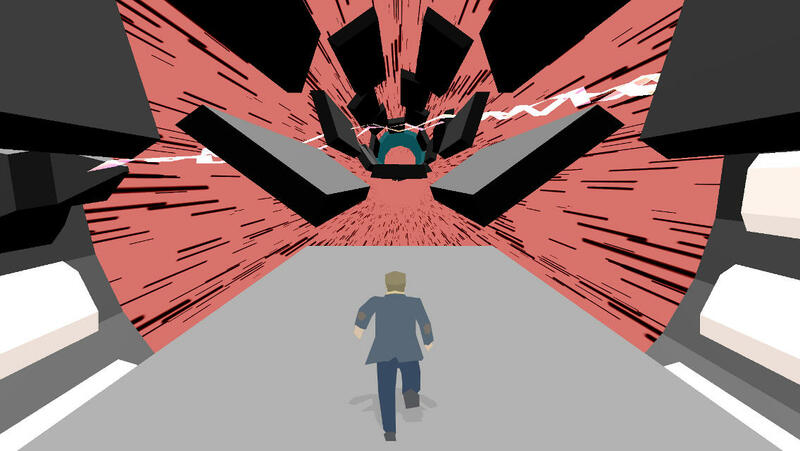 Boson X could best be described as Super Hexagon meets Temple Run-style runner. It sounds like an easy gimmick, just slapping two games together like that, but there’s so much more to it. As your character runs down a decagon-shaped tunnel filled with many gaps, you’ll tap either side of the screen to both rotate the tunnel and jump at the same time, hopefully rotating a platform right below your feet so you don’t fall through into nothingness. The longer you hold down on the screen, the longer your guy stays in the air. Mastering both long and short jumps when appropriate is key to doing well. You can also tap both sides of the screen at the same time to jump without rotating the tunnel, and here’s where the first bit of brilliance comes into play. The pieces of the tunnel that you’re able to run on fly into existence right before your eyes, so you’re constantly having to figure out the right path to take while simultaneously deciding which direction–if any–you’re supposed to rotate, and how long you’ll need to jump in the air for. It’s a constant tug-of-war with your brain, and as the game ramps up in speed, the beautiful manic-ness of Super Hexagon materializes in Boson X. You’re going to die, and you’re going to die a lot. You’re also going to instantly retry over and over again just hoping to get a wee bit further without batting an eyelash. This game has deep hooks. The second brilliant part of Boson X that sticks out to me is how you actually progress. Certain floors of the tunnel glow, and running across them slowly fills up a percentage meter. Hitting 100% will complete the level and allow you to move onto the next. As we found when we took Boson X for an initial spin in our TA Plays video, the game starts out fairly tame as you get used to its mechanics. Once things click and you start to unlock more levels, however, buckle the heck up. Boson X is one of those games that starts slow and feels overly tricky at first. It would be easy to just give up after the first ten minutes. Don’t do that, though. Hang with it, get comfortable with the controls and the mechanics because they will click with you. Once they do, it’s off to the races as you try to unlock every level and compete with people on the leaderboards. It’s simple on the surface but deceptively deep, and people in the forums have been loving it as well. Don’t miss out on Boson X, our TouchArcade Game of the Week.